What does an environmental consultant do? Would you make a good environmental consultant? Take our career test to find out how you match with this and over 800 other careers. What is an Environmental Consultant? What is the workplace of an Environmental Consultant like? An environmental consultant is someone who works on a contractual basis for private and public sector clients, addressing environmental issues such as water pollution, air quality, and soil contamination. Efforts towards renewable energy and technologies producing low emissions are seeing more and more government funding. 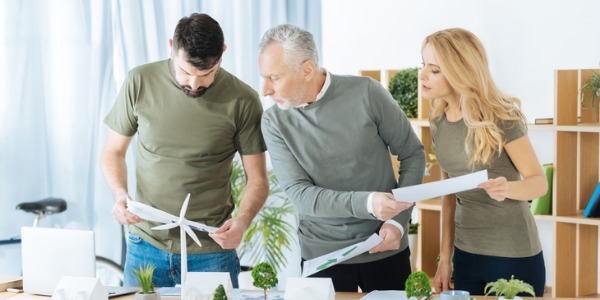 Organizations that invest in research and development within these areas are also growing, and are one of the places that environmental consultants can be found. 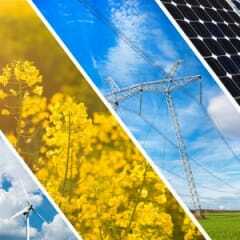 They have extensive knowledge on environmental regulations, and can advise clients in private industry or public government institutions on how to steer clear of possible fines, legal action or misguided transactions. An environmental consultant has the scientific knowledge and technical expertise to conduct thorough environmental assessments. This can prove to be very beneficial to a public or private company. For example, if the company is involved in a court case, the environmental consultant can testify on their behalf. Or if a company is considering buying a piece of land for development, the consultant can fully assess the land before the purchase, and research any previous investigations of that particular site. They may also conduct field surveys, and collect data to establish a baseline condition for levels of pollution or contamination for the area of consideration. An environmental consultant conducts both field and desk-based research, and will hand over completed and detailed scientific reports, written in a manner that can be understood by non-technical people. Their research will identify whether water, air, or land contamination will have an adverse impact on people or groundwater, for example. They will interpret data, which includes a detailed assessment of the data, sometimes using software-modelling packages to see whether contamination exists in accordance with current legislation. Are you suited to be an environmental consultant? Environmental consultants have distinct personalities. They tend to be investigative individuals, which means they’re intellectual, introspective, and inquisitive. They are curious, methodical, rational, analytical, and logical. Some of them are also realistic, meaning they’re independent, stable, persistent, genuine, practical, and thrifty. Does this sound like you? Take our free career test to find out if becoming an environmental consultant is right for you. Some environmental consultants work for a corporation or government agency, either as a full-time or part-time employee, or as a contractor. Yet others work at environmental consulting firms, or work alone as a consultant. Consulting firms include private companies, all levels of government, wildlife organizations, and conservation groups.